Collection point: Via Dal Pozzo 24, 28040 Oleggio Castello (Novara) at the luxury resort Hotel Castello Dal Pozzo (http://www.castellodalpozzo.com/en/default.html). 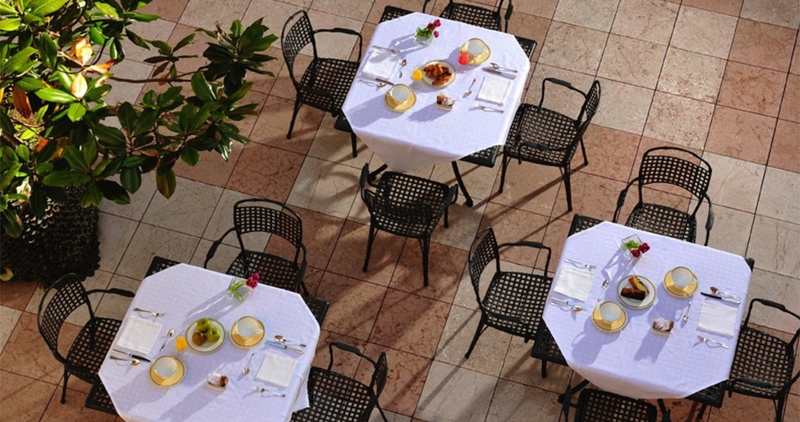 A 5 star hotel splendidly situated on the hills overlooking Lake Maggiore. Check-in is before 6.30pm. If you are likely to arrive later please inform the Organising Secretariat. If possible please ensure that you have a full tank before you arrive. 7.30pm Welcome address in the classroom, presentation of the course and the instructors. Each participant will receive their personal pass. 10.30am Departure for the practical lesson divided into 3 groups of 7 riders, according to their level of proficiency. Each group will receive a coloured bandolier (red/blue/white). The lesson will be over a preordained route, suitable for training purposes. 3.00pm Second half of the practical lesson. The roads are carefully selected and a distance of 170 kms will be covered. 8.00pm Dinner in the Resort. 12.30pm return to the Resort, consignment of the Certificates FMI-GSSS with individual Valuations of Merit. Lunch and departure. MEALS: Breakfast and dinner will be in the Resort restaurant. Lunch Monday and Tuesday will be in local restaurants. On Wednesday there will be a light lunch in the Resort at the end of the course. Where is the "Castello Dal Pozzo"? CLOTHING: In order to be able to participate in the Safe Driving course correct technical equipment is mandatory. This includes helmet, gloves, jacket and trousers, back support and boots. It is also highly recommended to bring rain overalls. MOTOBIKE: Your bike must be in good working order and comply with all the necessary requirements for use on the roads. It is possible to hire one of the mid-performance motos owned by the Motoclub GSSS by contacting the Organising Secretariat directly. 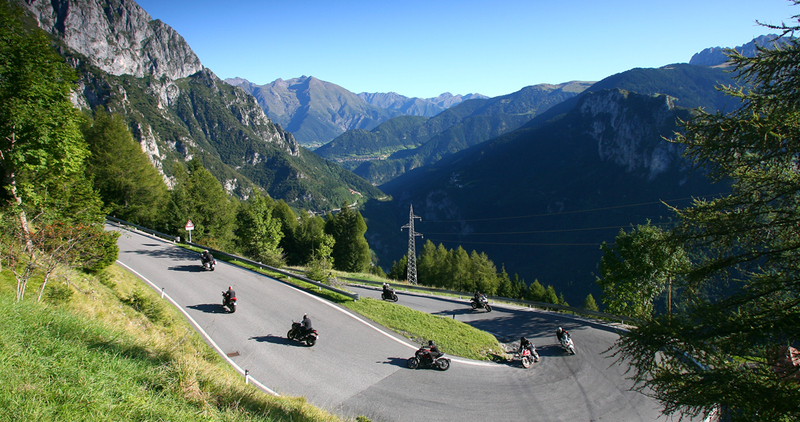 To be able to participate in the course a valid Italian Motorcycle Federation membership card is obligatory. This can be requested when you register, and costs 50€. Check out the website http://www.federmoto.it/servizi-fmi/tessera-member-fmi/ for all the advantages offered. 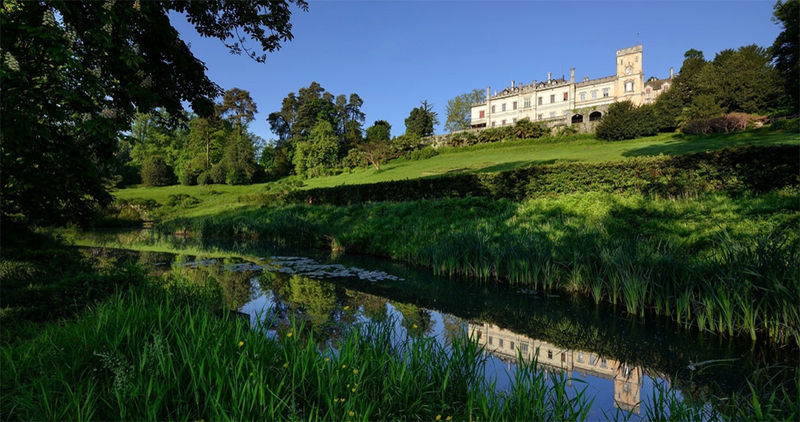 From the 9th to 12th September the Safe Driving on Road Classic will take place in the exclusive location of the Castello Dal Pozzo Resort on Lake Maggiore in Northern Italy. 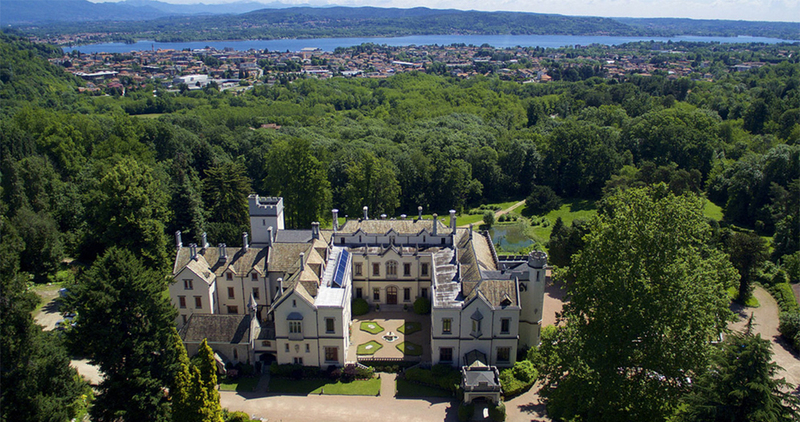 The Resort lies 2 kms from Lake Maggiore, 10 kms from Lake Orta and 15 kms from Stresa. 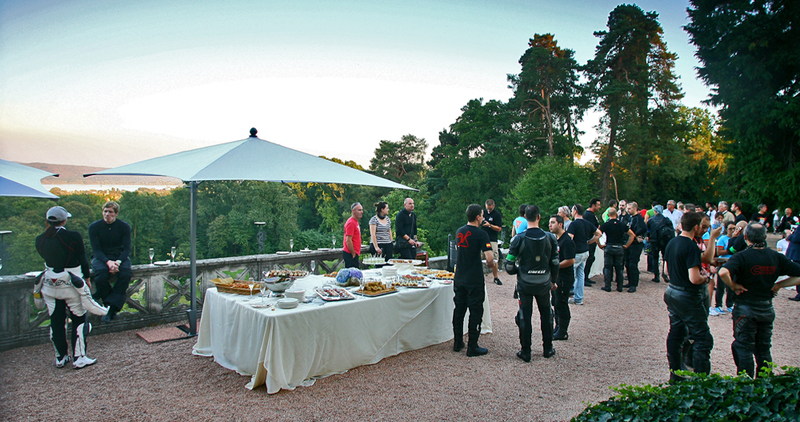 The area offers excellent on road facilities for a Safe Driving Course which is why it was decided to organise an exclusive Safe Driving Course here with the aim of combining the elegance and the comfort of the Castello Dal Pozzo with the picturesque itineraries available in the vicinity. 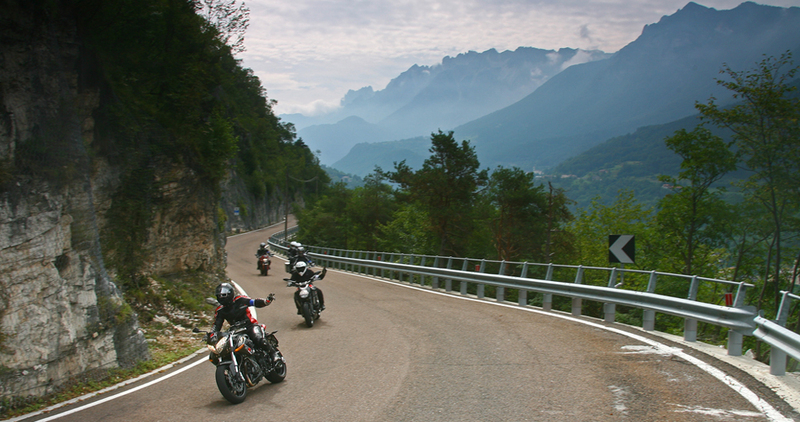 Road sections and bends have been specifically chosen to allow participants to enter into symbiosis with their motorbikes in complete safety and gradually improve their overall driving style. This is what the GSSS course is all about. 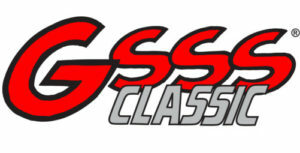 Briefly... what is GSSS Classic? The Safe Driving on Road Classic course is open to all adult motorbike riders in possession of a cat. A driving licence and their own fully licenced motorbike. The GSSS course is held by fully qualified Federal Instructors with an ITGS licence. It is a hands-on Safe Driving On Road course aimed at those who, rightly, feel that there is always something new to be learnt and reckon that through a full immersion course, both theoretical and practical, will be able, in a short space of time, to improve their driving technique. Every day, after two hours of classroom theory, the participants will be divided into three groups for the practical hands-on driving lessons. The itineraries, the same for each group, cover specially selected, relatively traffic free roads, covering between 100 and 170 kms each day. The theoretical lessons are supported by slides and written material outlining the methods of the GSSS. The on road lessons also comprise various stops for briefings and individual video filming.